The main characters of this play are two females, Stella and Blanche Dubois. They are sisters but have two very different characters. Their thoughts, attitudes and personalities with regard to how women are treated, are totally different, despite the fact that they grew up together and were brought up by the same people. Stella is a very easy going character, who does not get upset over even small issues. We could attribute the differences in their characters to the fact that Stella is Blanche’s younger sister. Therefore Blanche must have thought that she had the responsibility of taking care of her younger sister .this made Blanche to adopt a superior attitude and as Stella grew up, she started feeling the pressure that her sister was putting on her. This caused some sort of hostility in the mind of Stella, she looked for somewhere to run to and she found an aboard in Stanley Kowalski. Stella discovers in her a woman thanks to Stanley, and as long as Stanley is willing to give her this pleasure, joy and contentment, then she will not dare change this arrangement. Stella is also different for Blanche in that despite the things that Stanley does to her, she never argues with him. This shows us that she has a great amount of self control unlike Blanche, who on the first time she comes to Stella’s home, starts pointing out where Stella went wrong and she causes Stella and Stanley to have an argument. Furthermore, Stella is content with what she has and what life has offered her to the extent that she allows Stanley to get away after he raped her sister blanche. On the other hand, her sister Blanche holds the opinion that women are much more superior to men and so they should be given equal treatment or even better like royals. The last difference between these two sisters is that Stella believes that women should play a submissive role to men and this is why she never utters a word of rebellion to Stanley so that to her, if women are not treated as equals to men, it is not such a big issue. These differences lead to the separation of the two sisters .Blanche’s character is the exact opposite of Stella’s. She is rigid and unwilling to change. She shows herself to belong to a royal class and wants to be treated as such. From this we can deduce that they are two very different people who behave as if they were raised by different people yet they were brought up in the same house. Another character trait of Blanche that is different form Stella is the way that she uses every opportunity to try turning Stella away from Stanley and this she does by belittling him in the eyes of Stella and Stella ends up even abusing Stanley, something she would never have done if Blanche had not come into her house. She acts as the bridge between the two warring worlds of her sister and her husband. Blanche is very rigid and cannot accept that she is a failure but Stella accepts it and tries to bring reconciliation between Blanche’s past and present. 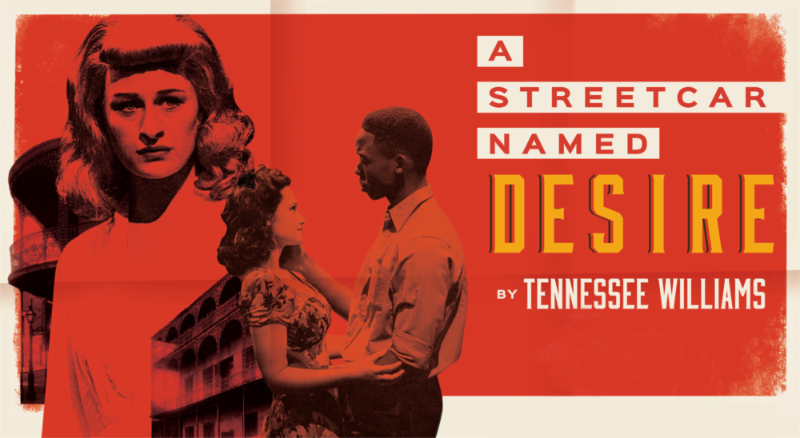 Stella is the better sister in the play a streetcar named desire. The Dubois sisters are the descendants of a great aristocratic family that is quickly fading. Stella is not showy about her origin and lives a simple life. Blanche is very showy because she wants to be treated like a queen when in fact she does no longer belongs to the royal family. She is very needy of material things as well as attention. She is not as content as her sister is with life. Stella is also very kind and compassionate towards Blanche even after treating her the way she did simply because she was the eldest. She tolerates Blanche as well as Stanley by being very sensitive to their needs. Deep within her heart, she knew that Stanley loved her and this is why she never left him even after Blanche tries to break them apart. This gave her the will power to take care of her husband and even have his children. In addition, Stella is forgiving unlike Blanche. After Blanche makes lots of horrible accusations against her husband, Stella ensures that she is given proper treatment so much so that she even arranged for her sister blanche to take a break to go and rest in the country. Stella has not allowed the difficulties that she faces to erode her gentle and refined spirit. By accepting Stanley and his disgusting habits, does not mean that Stella has degraded herself, neither has she allowed her descent to prevent her from getting married to a scum like Stanley. She is able to strike a balance between her upbringing and what life offers her. This is unlike Blanche who wants the best out of life by basis of the fact that she comes from an aristocratic family, even when it is clear that no such privileges are coming. The way Stella strikes coexistence between her two worlds shows that she is more pleasant character that is easier to deal with. She is not a perfect character as she also has flaws, but at least she tries to show us that a mixture of two viewpoints is very possible. It is clear that Stella is not a strong character but she still remains to be the better, when we compare her with her sister. Time and time again Stella defends her sister against the accusations that her husband makes and stays firmly on her sister’s side despite the overwhelming evidence that is there. This prompts us to ask if Blanche were in such a position would she really stand by Stella the way Stella does. Chances are that she would not and this is what makes Stella the better sister. Stella tells her husband “you didn’t know Blanche as a girl, nobody, was tender and trusting as she was” (Tennessee, 50).this helps us understand the kind of loyalty and kindness that Stella shows towards her irritable sister Blanche. Despite the fact that Stella is a weak character, we still find her much more pleasant than her sister Blanche. She tries to create a common ground between the two even when they use her to fight their wars. It is even easier to deal with her than with the complex Blanche and this is what makes a huge difference between the two. He is simple, sensitive, loving and practical even when she is the younger one.